THE City of Stirling may have found its calling after winning an award as the top recycler of unwanted mobile phones. Along with gathering hundreds of discarded mobile phones, the City has picked up the Top Collector Award for WA in MobileMuster’s 2017 Local Government Awards. Up from last year’s recycling total of 120kg, the City collected 195kg of mobile phones in 2016/17. More than 90 per cent of the materials in mobile phones, accessories and batteries can be recycled. The program works to keep old mobile phones out of landfill and to recycle them in a safe, secure and ethical way. Stirling Mayor Giovanni Italiano said the award was a tribute to the community and their efforts to recycle unwanted mobile phones. “To be the top collector in WA really shows how committed our residents are to recycling,” he said. 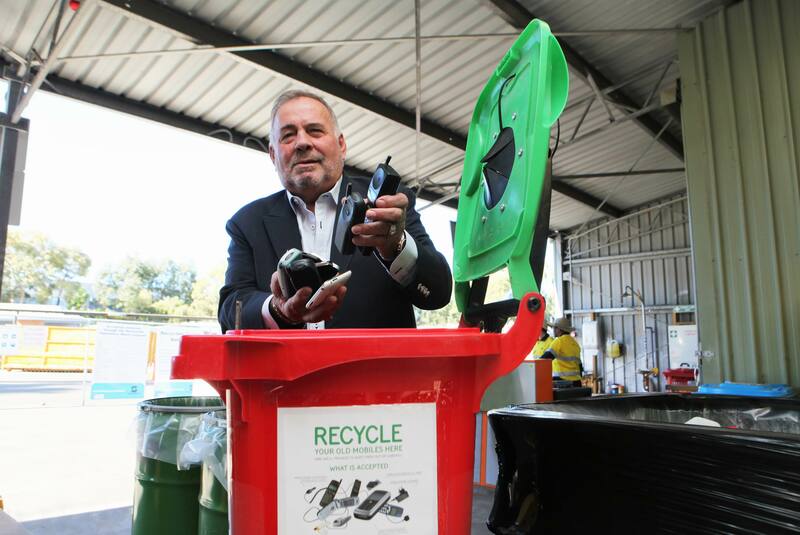 There are more than a dozen Mobile Muster collection points across the City of Stirling including the Recycling Centre Balcatta and all six City libraries. The not for profit MobileMuster program provides an opportunity for Australia’s mobile phone industry to recycle all brands and types of mobile phones, plus their batteries, chargers and accessories.